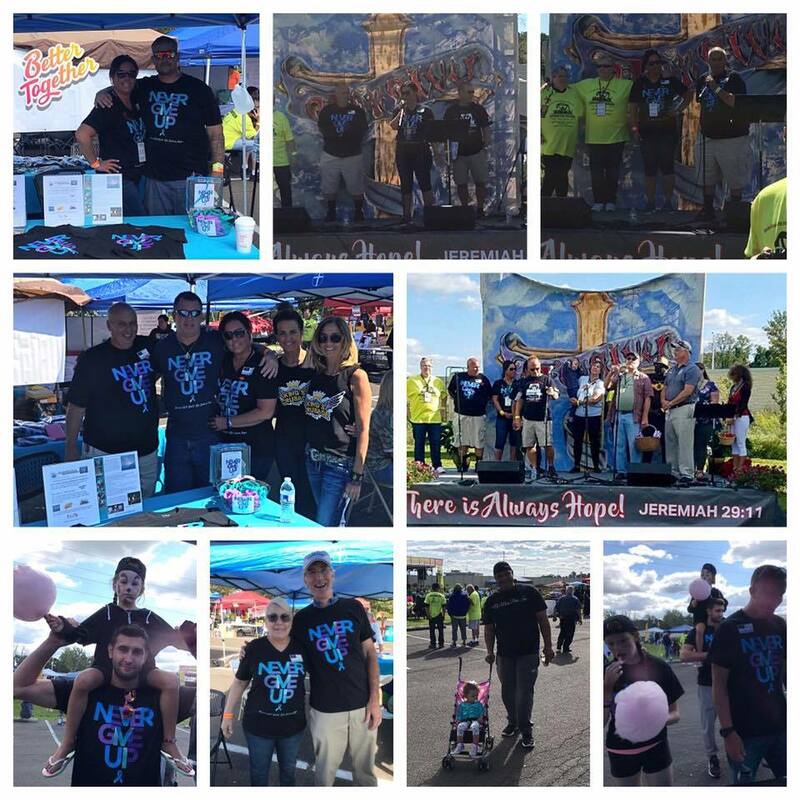 Heaven Will Wait - Never Give Up is a 501(c)3 non-profit organization and is made up of loving & caring people who have a loved one touched by the disease of addiction or have previously struggled with addiction themselves. So many of our loved ones have been affected by this growing epidemic and we are here to help those affected & let them know that they are not alone. We go out to the streets to help those directly hit by this epidemic, and provide them with love, support and necessities. We help with clothing for those on the streets, treatment centers and recovery houses. We build relationships with those on the streets, so that when they are ready for treatment, they know to call us and we will be there for them to help them before and during treatment. Our goal is to help everyone see that recovery is possible. Dana is the Founder of Heaven Will Wait-Never Give Up and is involved in the daily operations of this 501c3 non-profit organization. Dana is married to her husband Joe Ritchie who also helps out with this group a lot just behind the scenes. They both together run a contracting company for 20 plus years and have a 22 year old daughter in college. Dana and her family have been touched by addiction throughout their entire lives, she understands and has empathy for others, she has lived experience. Dana spends a lot of her time organizing our group. She oversees our street outreach, blessing bag parties, motivates all the team leads, community awareness events, drives people to treatment, assist individuals to achieve their personal goals, guide and direct those who need treatment into recovery. She mentors and assist individuals to achieve their personal goals, make connections, and improve their overall sense of wellness. As she provides strategy and support for the team, she also jumps in where needed to assist! ​Jackie, as many of the other volunteers, has been touched by addiction throughout her life. Although she has not faced addiction through a personal struggle of her own, she has gained hope and admiration for recovery for all suffering and their respective support systems. Having been a witness to many loved ones battles with addiction she has seen the miracles that can transpire and hopes for an improved systemic change and reduction of barriers for recovery services, processes and systems for all involved in the recovery process. She believes that while change may take some time on a larger scale, hope and support is always readily available and freely given. Bill is a part of our outreach team, he is always right there to help someone. Bill is a father of little Billy, and prides himself on setting a good example to his son. Bill helps those on the street and those in early recovery by being available when they call him. He has “lived experience” and is a person in recovery with 2 years of sobriety. His drug of choice was heroin and he has survived many years of addiction, overdoses, rehabs and legal consequences. Helping others who are struggling has become a passion of his and he is easily able to understand what other addicts can be going through since he has been through many of trials and tribulations himself over the course of many years. Bill joined NGU in hopes to inspire others struggling to know they can get clean also. He credits his sobriety to his decision to put God first, and it both changed and saved his life and has brought incredible people into his life. You can always depend on Bill to bring a smile to a person’s face or to go visit someone who needs extra support. You can count on Bill to take anyone to Church on a Sunday as well or bible study with him. Julie is our Facebook moderator and helps with sorting clothing, pickups and drop offs. She is super sweet person and very passionate about helping others. Julie loves to volunteer because to her it is the most humbling thing you can do, when someone is sick and suffering to be there for them. Julie has family members and friends that struggle with drug addiction each day! She believes volunteering sets a good example for her three kids. She feels it is important for adults to be a role model for the younger generation, so that when they are older they are most likely to do the same. The best reason to volunteer is to share the love. Volunteering builds empathy and strengthens social bonds. Just to give back and the reaction you get is so worth it in the end. The people you help at the end of the day will show you love compassion so thankful and so grateful. Tom is part of our street outreach team, is always right there to drive someone to treatment when they are ready. Tom, is a huge asset to our outreach team, those on the street relate to him. He has lived experience and is a person in recovery. He has a huge heart and empathy for those who are still suffering from this disease. Tom loves fishing and will take those in early recovery with him out fishing, just to get them out of their head. Phyllis is a 60 year old widow and works full time job. She enjoys socializing and helping people. She joined Never Give Up in December 2016 due to her son’s addiction problem. Phyllis went with Julie to Prevention Point Ladies Night one evening and has been with us ever since, she loves working with the homeless and those struggling with addiction. Phyllis is such a hard worker and is indispensable to us here at Never Give Up. She offers so much compassion and builds such awesome relationships with those in active addiction. Phyllis jumps in where needed. Jerry struggled with drug addiction for many years. He believes volunteering is an excellent way to support your recovery from addiction since many people find themselves without purpose post-rehab and to help mitigate those negative feelings of shame and guilt that can come with many years of active addiction. By volunteering you not only give back, you also help yourself to start to feel self-worth again. In his recovery he has found that you will matter to people who need you, and that can be a powerful agent for making more positive changes in your life. When you feel better about your purpose you will also be less tempted to relapse. Jerry is loving, compassionate and the funniest guy you will ever meet, but he will also be the first person to literally give you his shirt off his back and shoes right off his feet. Jerry is a very valuable asset to our group and we have watched him grow in a positive direction throughout his recovery. © Never Give Up. All Rights Reserved.